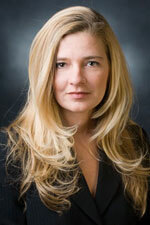 Molly M. Rush is a Partner at Garfunkel Wild, P.C., which she joined in 2006. She is a member of the firm’s Business and Health Care Practice Groups. Ms. Rush focuses her practice on corporate health care transactions. Clients include hospitals, private practices, licensed professionals, nursing homes and other members in the health care industry. Ms. Rush has vast experience drafting and negotiating a wide range of corporate health care matters, including the sale of medical, dental and veterinarian practices as well as the sale of pharmacies. She also has experience with affiliation agreements, joint venture agreements, management agreements, employment and withdrawal agreements and the establishment of professional entities. Prior to joining Garfunkel Wild, P.C., Ms. Rush was an associate at Ruskin Moscou Faltischek, P.C. where she was a member of the firm’s Corporate & Securities Department for six years. Ms. Rush received her B.S. in 1995 from the State University of New York at Brockport, and her J.D. from Hofstra University School of Law in 1999. During law school, she was a member of the Hofstra Law Review.